The Trail Smoke Eaters conclude their home-and-home set with the Penticton Vees on Saturday night as Trail makes their second trip of the season to the South Okanagan Events Centre. The Smoke Eaters and Vees play the third game of their season series and the back half of a home-and-home set with Penticton earning a 7-4 victory on Friday night at the Trail Memorial Centre. Trail will look for their first win of the season series after the Vees earned a 4-3 overtime win the last time these two teams squared off in the South Okanagan in early November. 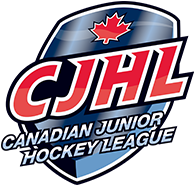 Trail will look to get back in the win column after a 7-4 loss on home ice on Friday night to the Vees at the Trail Memorial Centre. Owen Ozar, Chase Stevenson, Mack Byers and Spencer McLean each scored in the game for the Smoke Eaters while Adam Marcoux started the game, turning aside 19 of the 26 shots he faced before 16-year-old Logan Terness came on in relief and made 16 saves on 16 shots in his first BCHL appearance. Second year Smoke Eaters forward Mack Byers had another strong night on Friday night, earning a goal and an assist and has three goals in his last six games. The Byers marker last night was a shorthanded tally, his second of the season and the Smoke Eaters sixth total shorthanded goal of the season to tie for second in the league in that department. 16-year-old goaltender Logan Terness made his BCHL debut in Friday night’s game after coming on in relief of Adam Marcoux and the Burnaby, BC native had instant success, making 16 saves on 16 shots including two big shorthanded breakaway stops. Terness holds a 5-1-0-1 with a 1.75 GAA and three shutouts on the season with the Vancouver North East Chiefs of the BC Major Midget League. Chase Stevenson added to his terrific start as a member of the Smoke Eaters, picking up a goal on Friday night and has points in four of his five games with Trail. The University of New Hampshire commit has collected two goals and two assists for four points in that five-game span and leads the Smoke Eaters with 26 points in 30 games. The Penticton Vees earned their 19th victory of the season with a 7-4 win over the Smoke Eaters on Friday night in Trail. Ryan Sandelin scored twice in the game while Eric Linell, Mason Snell, Andre Ghantous and Cassidy Bowes scored singles in the victory. Jack LaFontaine made 24 saves on 28 shots for his 14th win of the season in between the pipes. With three assists on Friday night, James Miller continued his hot stretch of play as he collected a point in his seventh straight game. The Spruce Grove, Alberta native has three goals and ten assists for thirteen points over those seven games and is tied with David Silye for the top spot in team scoring with 39 points with five of those seven contests being multi-point games. 20-year-old forward Eric Linell has tallied in each of his last three games including opening the scoring on Friday night in Trail. The Great Neck, New York product has points in each of his last four games with three goals and four assists for seven points with three of those four contests being multi-point games for the University of Connecticut commit. The month of November was a good one for the Interior Division leading Vees, finishing with a 10-2-1-0 record to climb their way up the division standings. 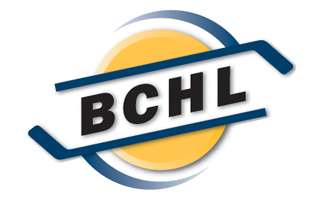 Penticton has won five of their last six games and come home where they hold the league’s best home ice record at 12-2-0-1 on the season in 15 games played at the South Okanagan Events Centre. The Smoke Eaters and Vees conclude their home-and-home series on Saturday night from the South Okanagan Events Centre. Puck drop is slated for 6:00 PM with the pre-game show getting underway at 5:50 PM on mixlr.com/trail-smoke-eaters as well as HockeyTV.com with the Voice of the Smoke Eaters, Trevor Miller.